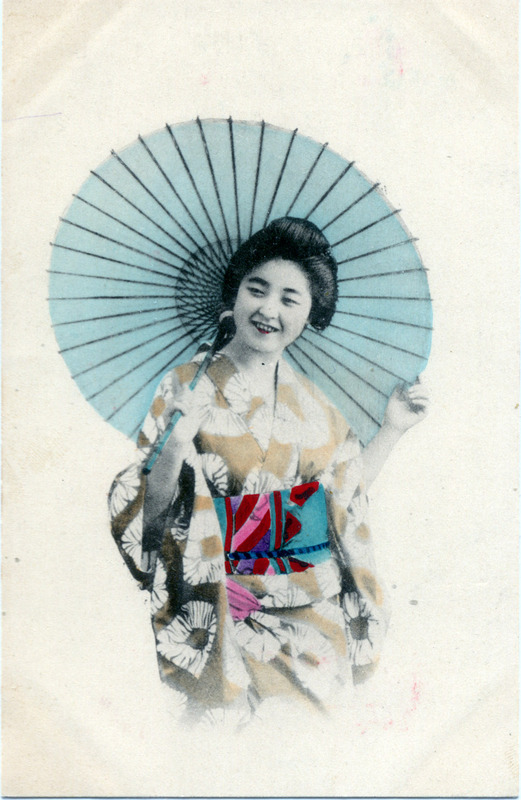 “The Japanese Smile”, c. 1910. Smiling Geisha with bamboo umbrella, c. 1910. “Many Westerners have found the Japanese smile weird and inscrutable, but it would seem that the basic reason is that, as with this one, there is nothing familiar to them in the Japanese facial expression. When we see a Chinese smile in a Western moving picture, we ourselves usually find his smile weird and inscrutable.